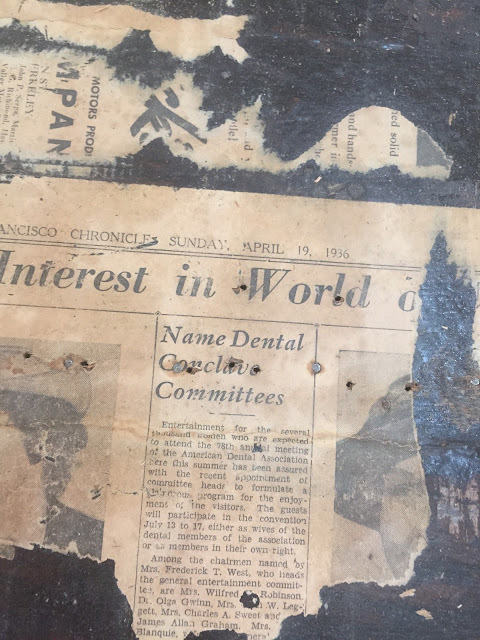 Not really sure what or who, but something happened on April 19, 1936 and we've got bits and pieces of the San Francisco Chronicle decopaged onto our floor to prove it. 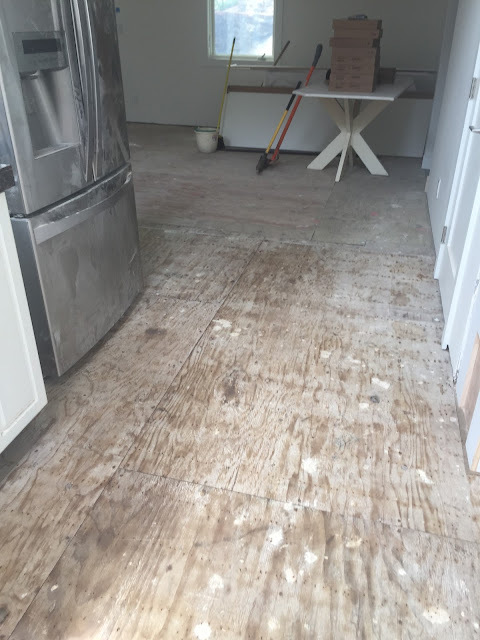 Just another day of making a mess and getting dirty and this one started with 3 very diligent guys who finished pulling up bits and pieces of our old Oak floors only to be tasked with the back breaking chore of pulling out all the nails. Every single teeny, tiny nail. But they did it, without complaint and eye rolling. And I even heard a bit of whistling and song humming. Not too bad. I kind of like the rustic farmhouse look. But it's not staying. We're choosing a floor product tomorrow, so stayed tuned. 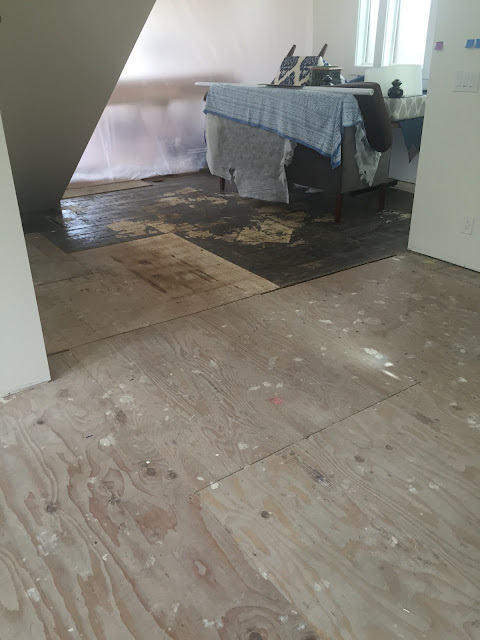 But this post is not about the new floors, it's about what Victor discovered under the old. 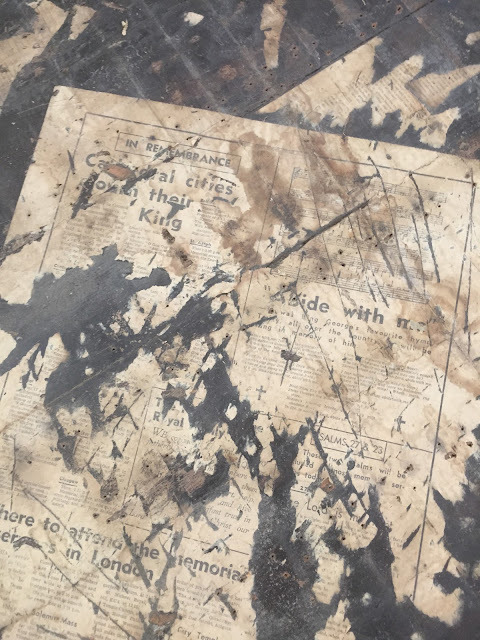 It's crazy that we found newspapers from 1936 stuck to the original floor that could be as old as from 1894. Who knows. 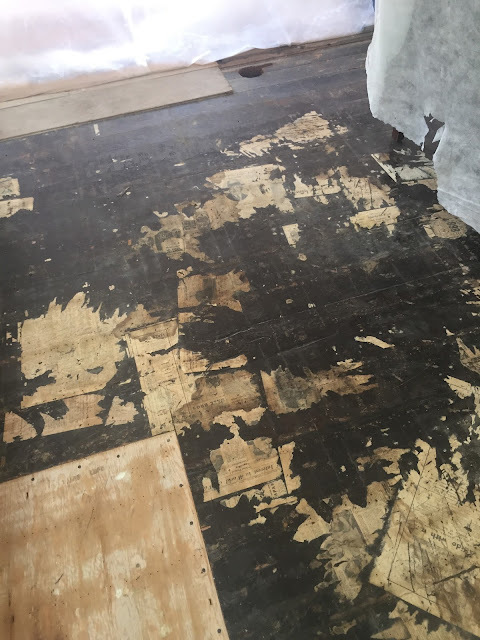 And we are going to cover it with new flooring. 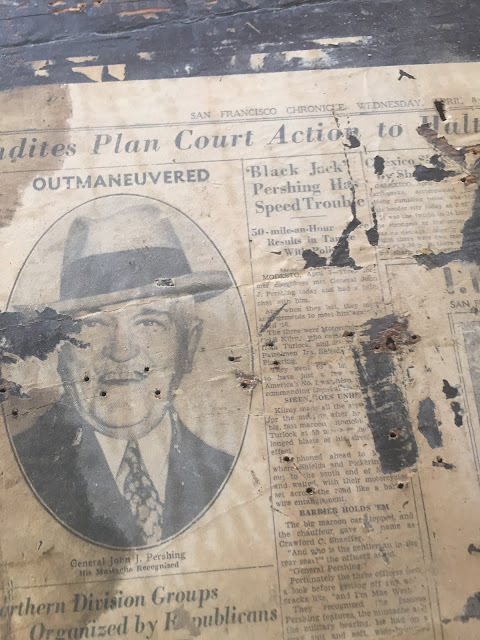 My husband thinks we should add a page from 2015 before we cover it up. We might just have to go buy the Sunday Chronicle tomorrow.